So whether you want to increase and improve your Pinterest traffic, get more traffic to your blog or website, make more sales through affiliate marketing on Pinterest or find out how Pinterest works, I'm going to show you all the things I do to get almost 3 million Pinterest views per month. In my online course Pinterest Millionaire I break down my exact pinning strategy and techniques that I use to get over 2,000,000+ page views per month. I made this course to help bloggers from every niche master Pinterest and start getting huge traffic from it. It's very affordable so all bloggers can access it and be able to use it. I've got tips and secrets on how to go viral on Pinterest and if you're a blogger I highly recommend you check out this course! Click here to enrol in Pinterest Millionaire and start getting millions of views from Pinterest today. You've probably heard a lot of bloggers talk about Tailwind, and the reason is because it works. I did a lot of research on how to get blog traffic and after hearing so many reviews of Tailwind, I decided to try it myself. I signed up for the Tailwind Plus Plan which is $15 per month or $119 paid annually. (I chose the one time payment of $119 because it works out a lot cheaper than the monthly one.) You can get a free month of Tailwind by clicking here worth $15 to try it out for yourself. To use Tailwind, after you've signed up for your plan, you can install the Tailwind browser button on your desktop so when you're browsing your Pinterest pins, you just click the Tailwind icon and choose what boards you want to schedule your pin to. 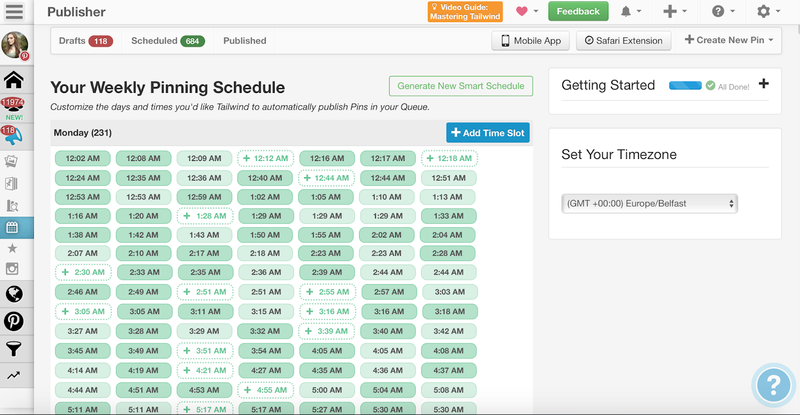 Tailwind will then choose the best time slots to get more traffic, and pin your pin to the selected boards, basically doing all the work for you. I use Tailwind a lot and schedule pins for the whole week within 10 minutes. I also use it daily when I upload a new pin by scheduling my pins to boards related to my niche. It's quite unbelievable just how amazing Tailwind has worked for me. I break down my exact Tailwind strategy in the Pinterest Millionaire course. You could be pinning hundreds of pins a day but none of that will matter unless your pin is very eye catching. An eye catching pin will get you repins, visitors to your site and Pinterest followers, so it's extremely important to make sure your pins stand out against the millions of other pinners. The two best websites to create Pinterest pins are PicMonkey and Canva. Make sure to use bright, vivid colours and try out multiple fonts in the pin to make it more eye catching. You'll be more likely to get a viral pin from using bold colours and fonts and a catchy headline. Make sure your pin is sized at least 735x1102 and you can increase the height up to 1500x. You should make multiple pins for each blog post to increase your repin rate and get more visitors and traffic to your blog. Aim for at least 3-4 pins per post, all in different styles. It's not enough to include one or two keywords and hope for the best, do some research on what the most searched phrases and keywords are so your pin has more of a chance of getting seen and going viral. SEO is vital in getting views from Pinterest. 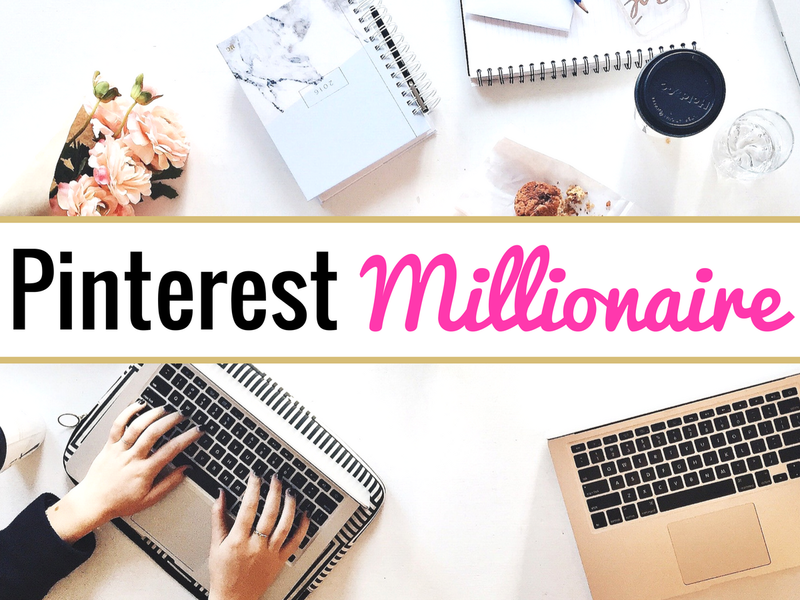 I go into detail about how I write my pin descriptions in my course Pinterest Millionaire, and that's how I get a lot of my millions of views. 5. Use SEO from the start! SEO, which stands for search engine optimisation, is the main way you're going to get found on Pinterest. To properly use SEO you should include popular keywords everywhere on your Pinterest profile. Your Pinterest name and description should include keywords that are relevant to your niche, your board descriptions should have relevant keywords and phrases that will attract people to follow them. Your pins, as mentioned above, should include detailed descriptions filled with the most important and searched keywords. SEO is vital in getting views from Pinterest and traffic to your site so make sure you're optimising SEO on Pinterest from when you start your blog. A lot of people don't know how to use SEO properly to get found on Pinterest and how to get followers and repins, but once you master the use of keywords, you'll see a huge increase in traffic. The more appealing and eye catching your Pinterest profile looks, the more likely people will be to follow you. It's good to have several boards related to your niche in your profile, for example, if you're a home decor blogger, your Pinterest profile should have boards such as; living room style, kitchen decor, bedroom designs, office interiors etc. Design pinterest board covers to make your profile look more appealing and this will help people to recognise your brand and stand out from the crowd. You can use PicMonkey or Canva to easily create square board covers. Group boards enable you to put your content in front of thousands of people, greatly enhancing the likelihood of getting visitors and traffic to your blog or website. It's important to join the right group boards that are relevant to your niche and pin from group boards to your own boards also. Pinterest likes active pinners so pin regularly from the boards you're a member of. 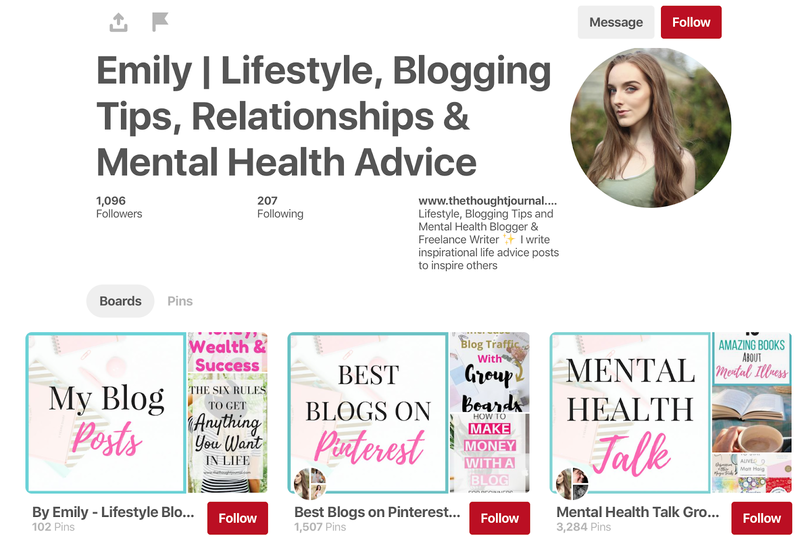 Even if you don't have many Pinterest followers, you can still get a lot of views by correctly using group boards. If you get accepted to a group board with 10,000 followers, your pins are automatically getting seen by 10,000 more people, so it doesn't matter if you don't have a lot of followers. 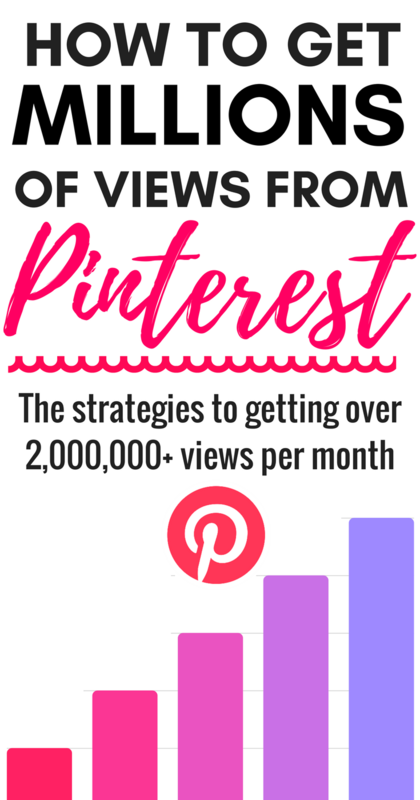 These are some of the main strategies I use to get millions of monthly views from Pinterest and increase my Pinterest traffic. 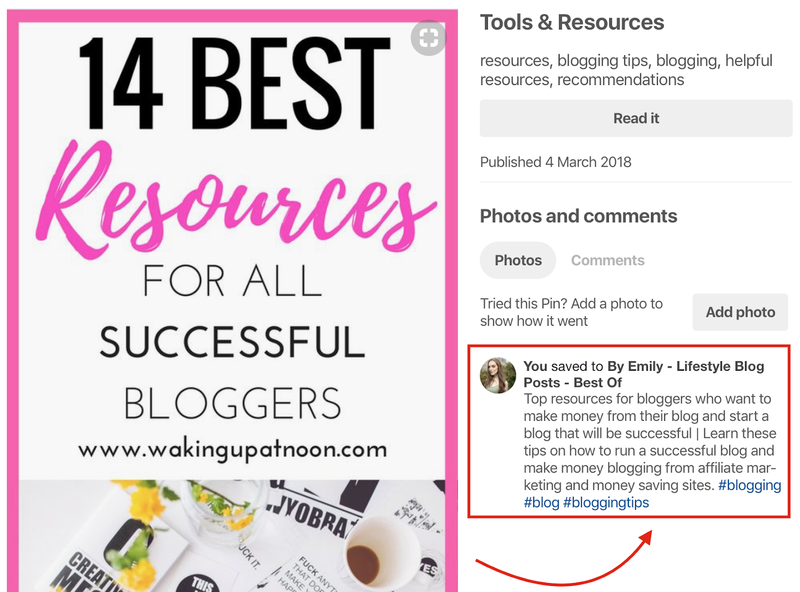 I break down my complete strategy in my eCourse Pinterest Millionaire, and I go into a lot more detail on my exact methods of going viral on Pinterest. Click here to enrol in Pinterest Millionaire and become a Pinterest pro today. Thanks for the post!.. I've been trying to get better with Pinterest and I'm glad I read this post.. Off to check tailwind ASAP! Hey thanks for the great tips, pinterest seems to be the best way to draw traffic to blogs like mine (www.eminotes.com) I definitely need to put your tips into practice. I am trying to improve my pinterest strategy by joining group boards. I found your post very helpful! A fantastic article about Pinterest and Tailwind and the need to approach pinning with SEO in mind. What is your opinion on the value of Blog commenting, just as I am doing here, to get backlinks to boost your SEO?